When folks began blaming Prez Barack H. O. for everything up to and including rainy days, I and people like me wrung our hands and moaned about the unfairness of it all. I recall one guy howling in 2010 because gas prices had gone up since Barry was inaugurated in 2009. I told him I wasn’t aware that Ob. had been sworn in as our new dictator with the power to decree gas prices and he looked at me as if I were a silly, naive child. It’s been more than five years now since The Man from Kenya has taken over our holy land. In that time, the BHO-haters of the USA have advanced the twin notions that Obama is both a crushing tyrant and a wimpy, spineless pantywaist. The inherent contradiction therein seems not to bother Michelle’s husband’s loathers. … the sane among us now simply titter. I tittered when I got wind of an exchange between a caller and Rush Limbaugh on his radio psychosis-fest yesterday. The caller said she was the mother of a firefighter who died in the 9/11 attacks. Yesterday, of course, the National September 11 Memorial Museum was dedicated. The woman was highly offended that former Pres. Geo. W. Bush wasn’t in attendance for the ceremony. Natch, BHO, NY Gov. Andrew Cuomo, former NYC mayors Michael Bloomberg and Rudolph Giuliani, and a huge gang of other big shots made the scene and implied how, without each and every one of them, other 9/11s would have occurred every half hour since that infamous day in 2001. But the man who was in charge of the nation when the hijacked planes struck was nowhere to be found. He’d been invited, according to ceremony organizers, but declined to attend due to a “scheduling conflict,’ which we all know is code for something, anything, else. I won’t speculate why GWB didn’t show, mainly because I don’t care. The less I see of him, the better I like it. But those who view Barack Obama as the harbinger of the Apocalypse know why he didn’t come. The Kenyan ordered it. CALLER: Where the hell was President Bush? Why wasn’t his name even mentioned? RUSH: You know, I didn’t have the sound up when I watched that, not much of it. I had it on TV. CALLER: Well, his name wasn’t mentioned. He wasn’t there, that’s for sure. But his name wasn’t even mentioned. 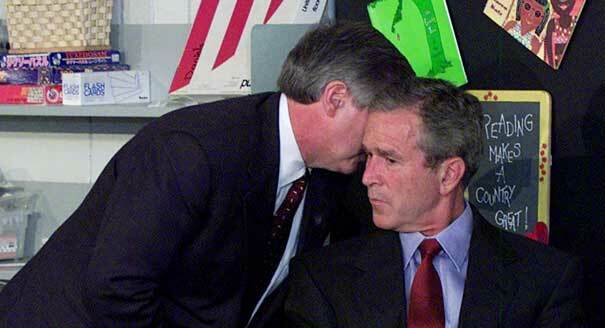 RUSH: This is the 911 Museum, right? RUSH: The dedication to the museum? Well, I saw Governor Cuomo there. CALLER: He should have been the first person to speak, or at least his name mentioned. I’m very upset. I lost a son there. RUSH: I have to say, she’s got a point here. I have to say, you’ve got a point, Marie. Here’s who I saw. I saw Mayor Doomberg, I saw Mayor de Blasio, I saw Governor Cuomo, but you’re right. I didn’t hear anything. Did they mention him? CALLER: You saw everybody but President Bush. Even his name wasn’t mentioned. They bat this around for a while until, mirabile dictu, Limbaugh informs the woman that Bush’s office released a statement saying he chose not to be there. Of course, he could have told her that the moment she mentioned Bush’s absence, but that would cut off the possibility that she could complain that Obama et al are trying to turn the former prez into a non-person, as any good Stalinist might. RUSH: …When I heard that Barack Obama plans to live in Washington after his term of office expires — if it does (ahem) — that told me a lot. No president stays in town. They all decamp. They all leave. They go back somewhere. But Obama is gonna stay there, and there’s one reason why. Hehe! 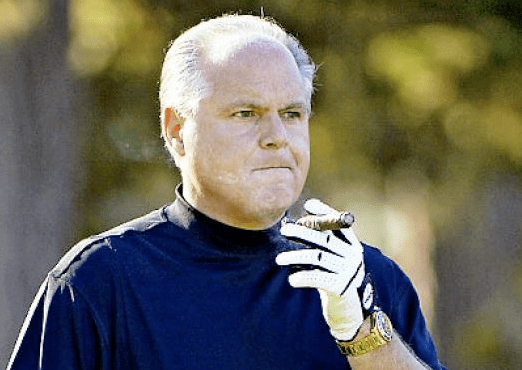 Ol’ Rush is a’scared that Barack Hussein Obama will appoint himself Emir-in-Chief and Caliph of Kenya, Palestine, and America-for-Life well before the 2016 election. I’m sort of disappointed that Limbaugh’s worst fears won’t be realized. Because if Obama does take over the nation as dictator, I’m sure the first thing he’ll do is throw folks like Limbaugh and his callers into a mental institution, where they belong. That ship found in the ocean near Haiti, the one a certain Indiana University researcher thinks might be Columbus’s Santa Maria, is most assuredly stuck in a pile of muck. And I’m not talking about the slimy gunk one can find on the bottom of a large body of water. Old Cristofaro Colombo of Genoa is hardly a hero to a lot of folks these days. Columbus opened the New World to continuous European trade and migration, sure. That’s why pretty much every big city in this holy land throws him a parade each October. Then again, some cities are ixnay-ing the whole Columbus celebration. Back in 1992 the city of Berkeley, California, replaced its Columbus Day festivities with those marking what they called Indigenous People’s Day. The idea being Columbus and his Euro-trailers brought with them disease, a propensity to commit genocide, forced conversions to Christianism, and other horrors. The peoples who lived in the New World, a huge and extremely varied population, suffered mightily under these ills. So Berkeley decided to champion the victims rather than the victor. The Minneapolis city council not four weeks ago also voted to celebrate Indigenous People’s Day, the same day Columbus Day is celebrated, meaning, I suppose, that town is interested in pushing the Genoan into the attic with all the rest of American history’s relics. As for the rest of the nation’s pop., Columbus seems to be becoming less and less an American idol with each passing year. It’s not that Murricans are suddenly becoming cognizant of his less than savory proclivities (Columbus took hundreds of natives as slaves, stole gold and, after being named Viceroy of the Indies, ruled with a sadistic fist) but that we really don’t care much about anything that happened before The Big Bang Theory (the TV show, not the beginning of the known Universe). In any case, whatever IU’s Charles Beeker finds when he and his team dive into the warm waters of the Caribbean and inspect the reputed Santa Maria remains, the results will cause a mini-firestorm of controversy. Say he brings up a sextant and it’s put on display. You think there won’t be scads of protests surrounding the exhibit? 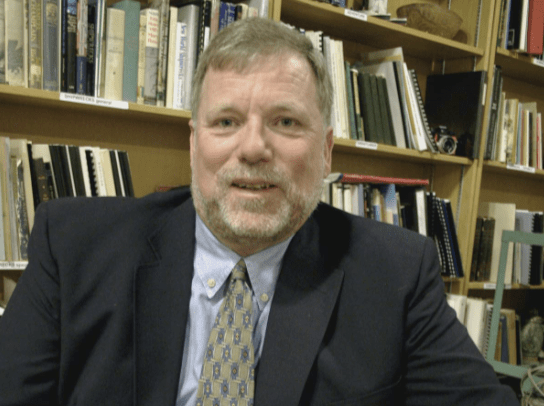 Beeker, an underwater archeologist who’s head of IU’s Office of Underwater Science and Academic Diving Program, is working to put together a gang of scuba divers. He’s in a rush to get to the wreckage because, apparently, scavengers are beginning to loot the site. What’s thought be a cannon already has gone missing. Beeker plans to work with the Haitian gov’t to set up a protected area around the site to prevent further manhandling of the stuff. From a research and academic standpoint, Beeker’s quest will no doubt be invaluable. It may, though, be a public relations nightmare.